The Transit Bag is the newest addition to Kala's line of bags. The sturdy, water-resistant Transit Bag is padded to keep your ukulele protected no matter where you take it. 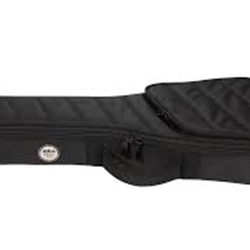 Whether you are a gigging musician or just going out to play with friends, this gig bag will get your uke there and back safely. The black bag has a comfortable handle, stylish diagonal stitching, and a pocket for accessories and extra strings. The plush padding is removable for easy cleaning. Available in Soprano, Concert, Tenor, and Baritone sizes.